Active shooter preparedness has, unfortunately, become an essential part of property emergency response. Learn tips you can give your tenants, employees and visitors should they ever face an active shooter or other violent situation at your building or property. How upsetting and scary is it that active shooter events have become so commonplace that it is considered a necessary component of emergency preparedness to create procedures and protocol centered around the issue? Don’t worry, this isn’t another article discussing the politics behind such happenings. Explaining why active shooter events occur does not fall under our expertise, and while we don’t think it’s right or fair that people are living in fear of active shooters, the fact of the matter is- this is a part of our current landscape. It is essential to have emergency response procedures developed for tenants to follow in case of an active shooter event on your property. 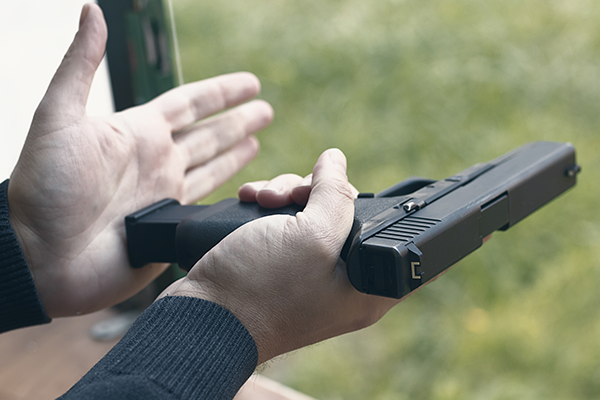 As many precautions as you take and safeguards that you put in place, there is no foolproof guarantee that can prevent an active shooter event at your building or on your property. Make sure you have a system for which tenants can report innapropriate behavior and perceived threats. Make reporting anonymous if you believe it will encourage others to come forward. If you manage office space, encourage your tenants to have such a system in place for their employees. Within that system, develop a means of assessing the threat at hand and determining when a threat should be escalated. Office space tenants should be encouraged to notify property management of escalated threats. Sign up to be informed of local emergency alerts to be made aware of threats and dangers in your nearby environment. Monitor and regulate visitor access. Be able to identify all those who enter the property and determine why they are there. Predetermine criteria on who is allowed on the property and the proper actions to take should someone not fit the criteria. Learn more about entry access and building security measures: Specializing Life Safety & Security for Your Property. As the property manager, you are required to provide an Emergency Action Plan (EAP) for the building that you manage. 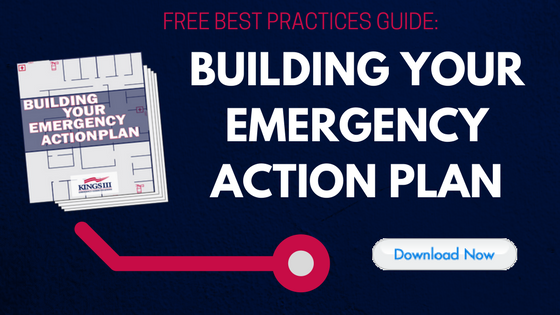 Not only does the EAP outline emergency training, contacts and personnel, but the most effective EAP’s are those that are comprehensive- they include emergency procedures for tenants to follow for specific dangers that may occur on the property. This includes emergencies such as fires, natural disasters, bomb threats and, recently, active shooters. Below, we have outlined a distinct procedure that building tenants may follow in an active shooter situation. If there are reports of active shooter in the building, and it is possible for you to safely and quickly get out, do so via your nearest exit. If you are able to hear shots being fired, do not wait for instructions from others. Get out as quickly as possible, leaving any belongings behind. Once you are out of the building and in a safe location, dial 911 and provide as much information as possible. Notify those nearby to stay away from the building. Search for a hidden and/or protected room to hide within. Avoid any locations that may hinder your ability to move. If possible, try to find a room with a locking door. If unable to find a room with a locking door, create a barricade at the door using the heaviest objects that you can find. Once within the room, turn off all lights and anything that may make any noise. Remain silent. Only call 911 if you believe that you are able to do so without notifying the shooter of your location. If you are with other people, disperse to different locations to prevent the shooter from finding multiple people at once. Should you come face-to-face with the shooter, do whatever it takes to survive. Fight back using improvised weapons. Scream and shout. Obviously, you should take any and all necessary actions that may lead to your safety. An active shooter event is a terrifying situation and one none of us ever expects to encounter ourselves. Regular open communication about your buildings emergency action plan, tips on how to identify potential threats and how to respond can help provide knowledge to your employees, tenants and visitors should the need to access that information at a later date ever arise. To learn about how Kings III helps property managers with emergency preparedness and emergency response, visit us at www.kingsiiii.com.